Card size 4.5" x 8"
showcases the removable angel ornament with a thoughtful sentiment hidden behind. message. Each card includes an envelope. 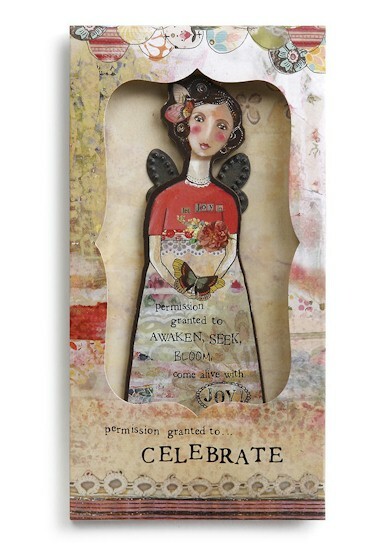 These Angel Ornament Cards are both a unique card and special gift all in one!